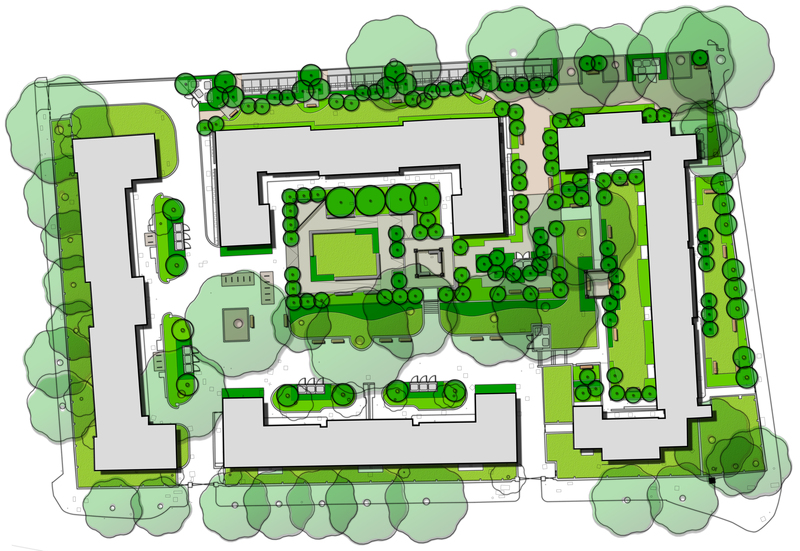 Studio Concept Landscape Architects were commissioned to Masterplan the external spaces for a private residential estate in the heart of London. The overall scheme is multifaceted in that it address the needs of the residents for days to day use and socialising and. As Landscape designers we have created opportunities for controlled recreation within a series of garden spaces which cleverly link together – for ease of access and use. The Masterplan also allows for the integrated design and locating of bespoke refuse and bicycle shelters that are carefully sited and screened into a verdant soft landscape design. Bespoke Pavilions and Pergola type’s structures are now found within the space and they add to the overall landscape character which brings the communal garden spaces into usable and intelligently designed spaces.